Anyone starting to itch to do some fishing at Ontario Place? I'm itchin' to do some GTA pike fishing, but not really at Ontario Place, it's a tad out of the way.. I can't stew indoors for much longer though.. I'm really starting to go through withdrawls.. my unofficial target date for some local pike is probably going to be for next Monday because I have the day off, and the forcast calls for +2 with sun/cloud mix, so lets hope I can get out to a few local spots..
ill be out as soon as the ice is gone and there is an hour of light after 6:00 when i get off work.i cant wait. By March 10th I would hope, itching to get out again for sure in the boat. For anyone more interested in learning more about the great fishery around Toronto Harbour, visit my new Facebook site. I don't have facebook, but am interested in attempting to fish the islands more than the 1 time I did last year.. I'm confused. I checked the regs. and could not find where pike is open? I do not know exactly where the harbour is, but it looks like pike does not open till May. What am I missing? How do I get into the action? Open Jan 1st-March31st & 1st Saturday in May-Dec31st. Its zone 20 and the regs are simpler then ever to understand. Used to be year round open season. ooops my bad. I misread it for March 1st wondering why everyone was heading out next week. I'm guessing the ice has just (or will be soon) left and it is time to get some soft water in before it shuts down. 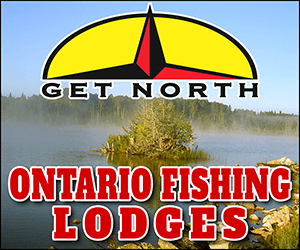 I SO wish I was in Ontario - GTA pike fishing is top notch. Dont forget your spinner baits and xraps gentlemen! Can anyone drop some hints as to where I can wet a line from shore? I don't think I'll be dragging the boat down to work anytime soon. Hey let's set a date. We could even have an OFC meet and greet!! Does anyone here have a float tube and good neoprene waders?? Harbour security are starting to crack down on people fishing from shore, especially at Ontario Place. I usually tell those glorified night watchmen to gimme a wide berth, as I've never had problems with the police, who are responsible for patrolling the area I'm told. They're such a pain in the arse! Still, the bite should pick up very soon!! traitor! The esox gods will seek quiet retribution..
been a few of us (5-6 regulars and more on some days ) going at it at lunch time all winter from the foot of spadina towards ontario place. I work just up the street and spend my lunch hour casting to any open water I find . Its a hit and miss thing but you manage a fish or two every few days ( had a few browns two weeks ago but mostly snot rockets , hopefully the big guys will show up soon) keeps me going (better than the walk up the street to hootters) hope to see you guys down there . I'm done at 4pm Monday-Friday and just want to wet a line, I couldn't care what I catch (or don't catch). Just getting the baitcaster back in my hands will be good enough!!! I would be happy to join up with anyone for some fishing. I am on LTD at the moment, so am available anytime. It is definitely time! The season always closed in April in lake O. Geeze, I wish I was back there at this time of year! Guys, the pike are out there all winter! Some of my best days were in Late Feb, and all through march. Just look for open water! I used to fish between the cracks of ice! I don't want to burn spots for the guys that are doing the leg work so I won't openly. If some of you guys want though PM me and I'll point you in the right direction. S'up Fidel, Grant! If you guys get together, let me know. I live in the core of downtown Toronto. Would be neat to catch some fish less than 5 minutes down the road. I have a boat, but don't have a harbour license. Hooters ... hmmm, now that's a toss up.